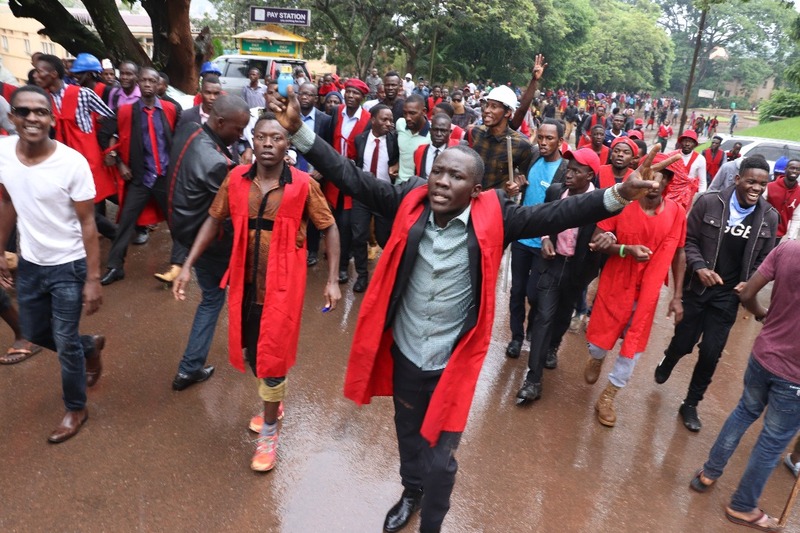 MAKERERE – Makerere University management on Thursday met leaders of striking staff and pledged to resolve their grievances on Friday in time to avoid a looming strike by students. The teaching and non-teaching staff laid down their tools last week following the suspension of the chairperson of the academic staff association, Dr Deus Kamunyu, Mr Bennet Magara, the chairperson of Makerere Administrative Staff Association, and his general secretary, Mr Joseph Kalema, for alleged indiscipline and inciting fellow staff. On Wednesday, student leaders gave management up to Friday to resolve the matter or else they join the striking staff. But on Thursday evening, the MUASA vice chairperson, Mr Bernard Mwavu, said they held a meeting with management, which promised to come up an answer. “We have presented our grievances to the university management and the university council. It is up to them to tell us which ones they are willing to adhere too, we weigh and then see if we should call off the strike or not,” Mr Mwavu said in a telephone interview. Dr Mohammed Kiggundu, the university manager for communications and international relations, in an interview, said the management has called a crisis meeting scheduled for Friday morning to forge a way forward before students join the strike. “Engagements between the university management and the executives of the striking staff associations are still ongoing and I am sure that by 2pm today (Friday), we shall be having a conclusive decisions about their demands,” Dr Kiggundu said. The staff are also demanding the university to remove Mr Thomas Tayebwa and Mr Bruce Kabaasa from the university council, gazette unconstitutional amendment of human resources, end attacks on the autonomy of staff associations and their leaders and also facilitate the staff tribunal to hear staff appeals expeditiously.